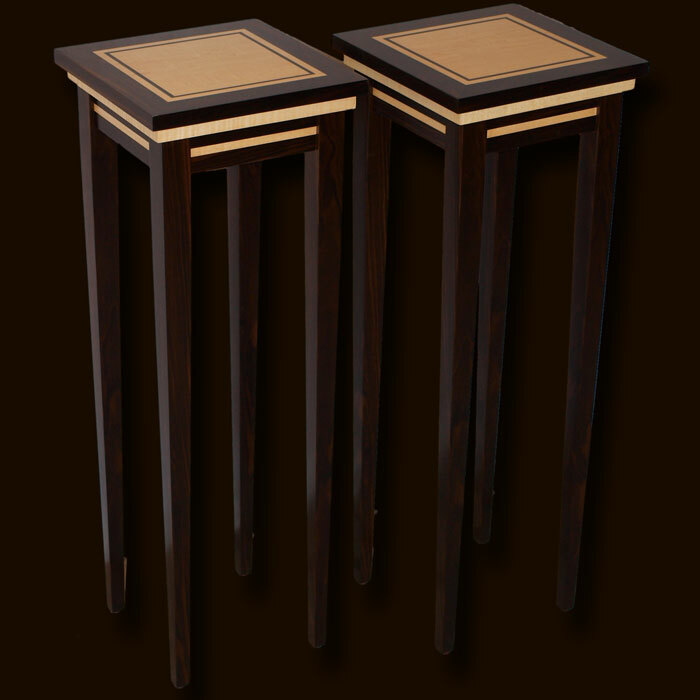 Incredibly elegant art deco style lamp tables, shown here in maple with an ebony crossbanding and inlay. These tables exudes the classic art deco style and would make a real statement in any room or office. We are also able to offer this style of table in any size that suits you and make any design changes you wish.